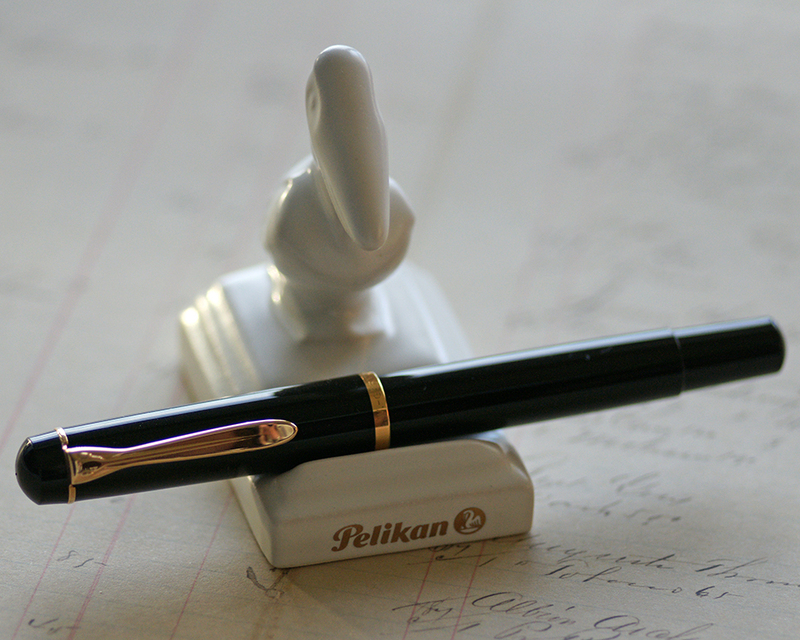 I recently came across a rather unusual Pelikan fountain pen, one not frequently encountered in the wild. I suspect that the reason for that lies in the fact that this pen was never intended for sale to the general public. 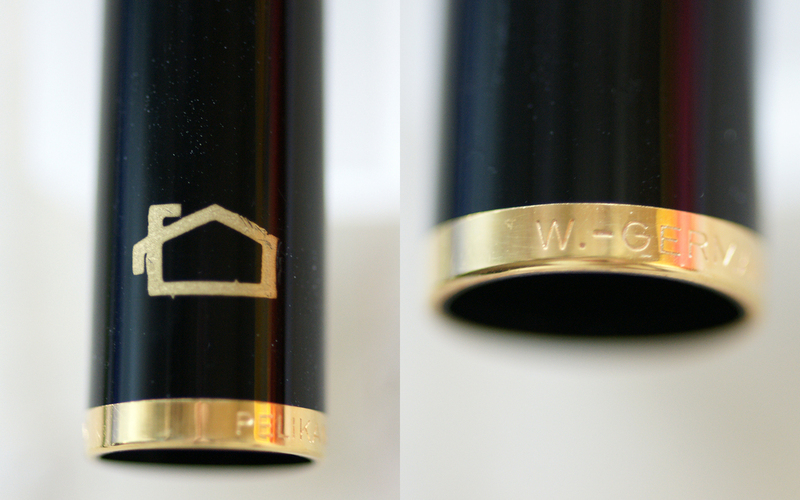 It was not unusual for a company to contract with a brand such as Pelikan to have a special, limited production item made for exclusive distribution. Sometimes these pieces were intended for their customers and other times they were meant for employees. 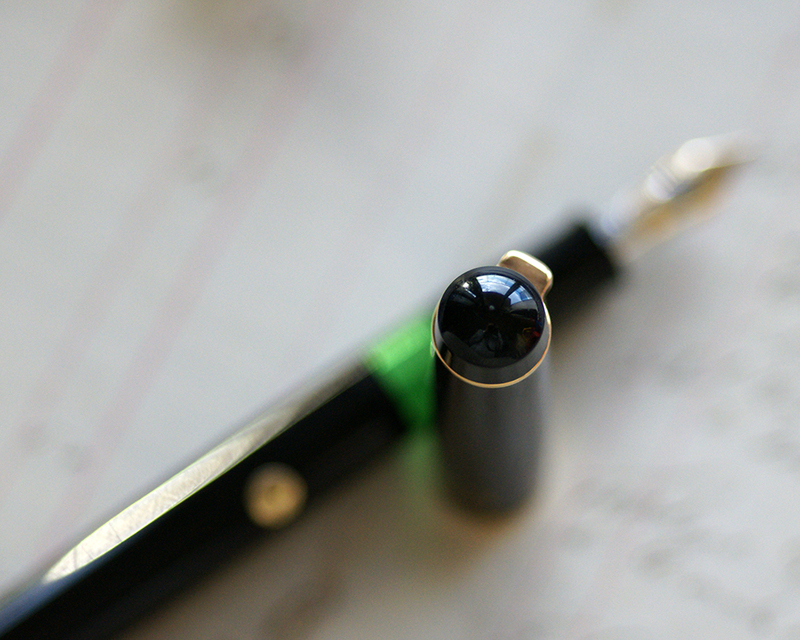 What we have depicted here is a special production Pelikan fountain pen labeled as an M150. It was created for the management of the Italian company Lagostina during the early 1980s. The mystery alluded to in the title of this post lies in the fact that this is not an M150 at all but rather an M481. Lagostina was founded in northern Italy around 1901 by father & son Carlo and Emilio Lagostina. They crafted an expertise in the manufacture of tin-plated cookware and became pioneers in the development of utensils made of stainless steel in the 1930s. They went on to originate one of the first pressure cookers during the 1960’s which was highly regarded. Some overseas readers may remember a TV series entitled, La Linea (“The Line”) which was a widely circulated animated series by Italian cartoonist Osvaldo Cavandoli, airing from 1971-1986. The first 8 episodes of the series were created to publicize the Lagostina brand of kitchen products. After the 8th installment, the series broke its association with Lagostina and went on to produce 82 additional episodes. The Lagostina company developed a strong reputation for “high-end” cookware which continued until it was purchased by Groupe SEB in 2005. While the firm may no longer be helmed by a Lagostina family member, clues as to the appreciation they showed their employees can be found in a Pelikan fountain pen that is now more than 30 years old. In the early 1980’s, the company wished to reward its management with a specially produced fountain pen likely made by Pelikan Milan. The packaging clearly labels the pen as an M150 which I suspect is due to the early confusion surrounding the M481 when it was sold alongside the M150/481, the pen we know today as the M150. I suppose that it didn’t translate well when the Italian literature was printed which is likely one of the reasons that Pelikan soon thereafter streamlined the nomenclature of their products. Like the standard black M481, the Lagostina edition has a black cap and body with a green ink view window. As the predecessor to the M200, the cap features a derby style top and a single, straight cap band. The body itself conforms to the pre-’97 styling and is devoid of any trim rings. The pen is equipped with a two toned 12C-500 gold nib whereas the standard production line came with gold-plated stainless steel nibs. The example here has a “harte fein” (hard fine) nib which would have facilitated writing on carbon copy paper which was popular at the time. 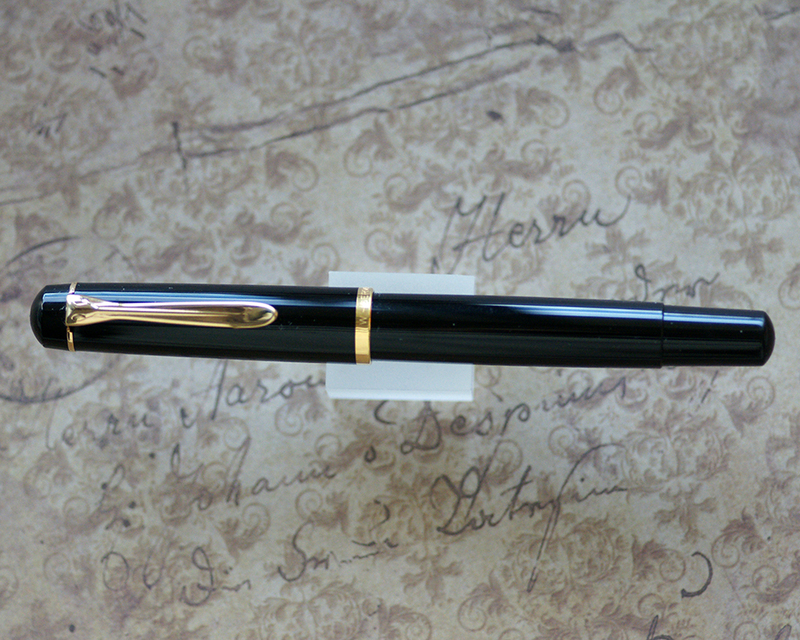 No other M481s are known to have been equipped with a gold nib of any kind from the factory. The furniture is gold-plated and the cap band reads “Pelikan W.-Germany.” The cap top lacks the Pelikan logo and is smooth. 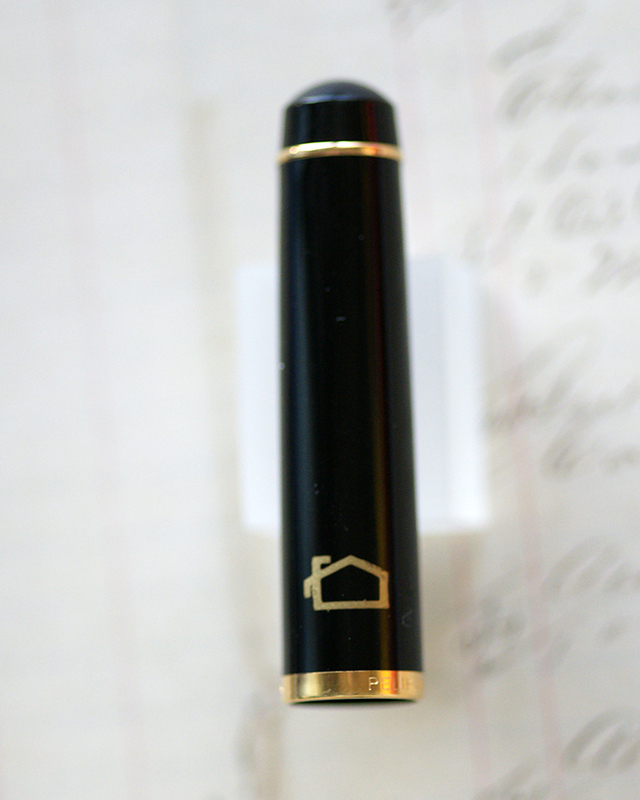 Some of the M481s incorporated the Pelikan logo below the cap top but this was not consistent and examples can be found without the engraving as is the case with this pen. The cap itself has a gold emblem on the opposite side of the clip which depicts the traditional Lagostina company logo. The M481 measures 5.00 inches in length, 5.87 inches posted, and weighs 0.49 ounces. 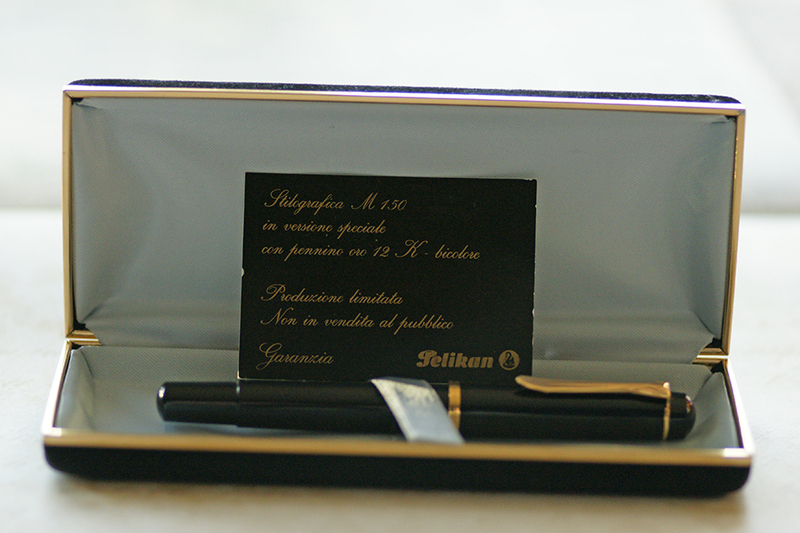 Other M481s with gold nibs and similar documentation are known to have existed, presumably also put out by Pelikan Milan in gratitude to their partners. It’s unclear just how many of these pens may have been made but I suspect that production was very limited and since these were not sold to the public, they are not likely to turn up for sale very often. Should you happen to see one of these in the wild, hopefully you will now be empowered to know exactly what it is that you’re looking at and not be fooled by the misleading M150 label. I’m glad that you enjoyed my post. One of the major inspirations for this site was to share these little known stories of Pelikan lore. Takes a fair bit of time and research but I love it when it comes together. Thanks for reading! You never cease to amaze me with your knowledge of Pelikan. And I am personally fascinated about the history of such a wondrous company. 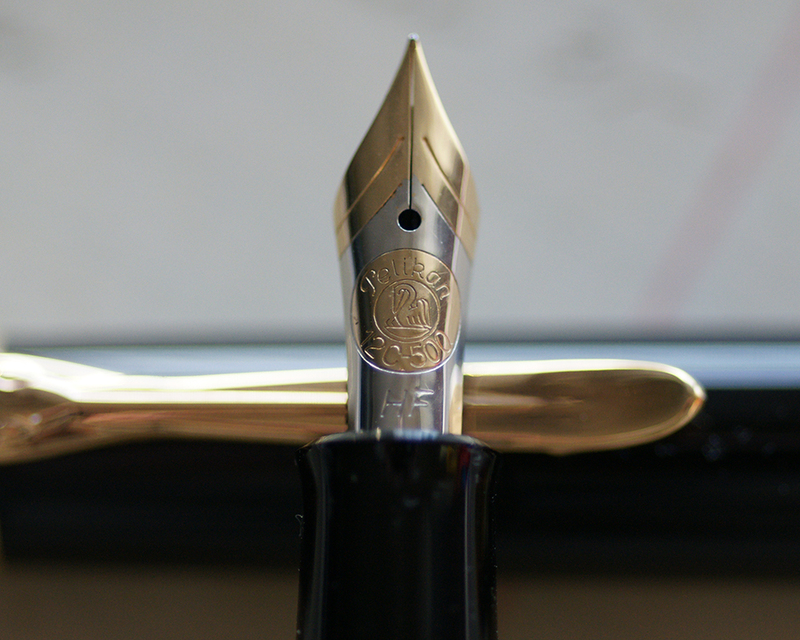 As a side note, was the 12c nib common? I haven’t seen too many examples aside from modern Chinese mid-range pens with hooded 10k or 12k nibs. The 12C-500 nibs were not overly common but not so uncommon as to never be seen either. Found more on pens meant for the Japanese market in my experience. I think we should all share this with our employers and tell them they really need to up their game in the swag department. Let me know how successful you are with that. I’m all for it!